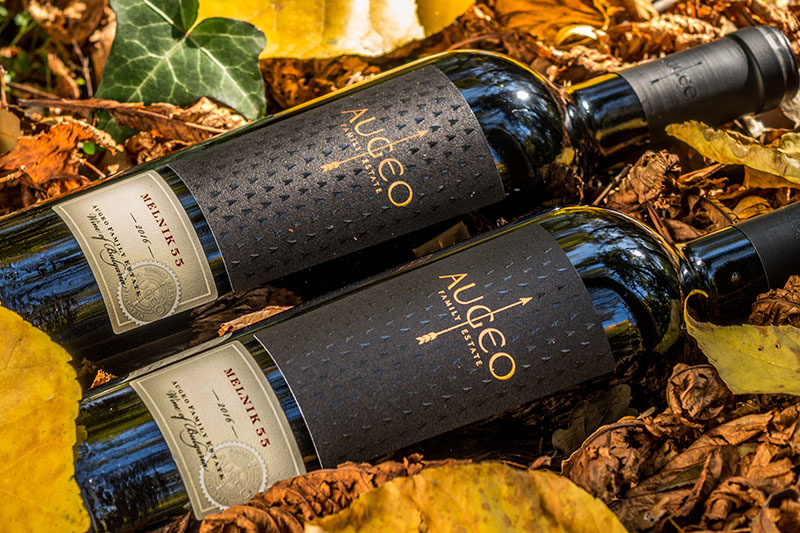 Augeo Family Estate Melnik 55 2016 won two medals in international wine competitions – Commended Winner at the International Wine Challenge 2018 in England in November 2017 and Double Gold medal from China Wine and Spirits Awards CWSA Best Value 2018 in February 2018. Augeo Melnik 55 2016 has a typical purple color, intensive and well-balanced aroma, with notes of dried fruit, ripe red fruit, herbal spices, clove, and floral aromas, along with the spices and toast, could be felt on the palate after tasting.  Augeo Family Estate Melnik 55 2017 has intensive color with cherry nuance. Intensive aroma that combines dark cherries, ripe forest fruits, dry tobacco leaves and almond nuts. The taste is soft from the start until the long finish. It has harmonic taste, with accents from fruit stones, dark cherries, dry forest grass and a hint of dark chocolate. Augeo Melnik 55 2017 is aged in Bulgarian oak barrels for 9 months, giving it notes of toast and tobacco, signaling its maturity and development. The new vintage of Augeo Melnik 55 2017 is just as good as its predecessor and is starting to walk in its footsteps as it already won a bronze medal with 86 points from International Wine Challenge 2019 in England. Early Melnik Grape or Ranna Melnishka Loza, and it is a result of crossing Shiroka Melnishka Loza (broad leaved) with the French grape variety valdiguie. The number in the name Melnik 55 comes from the experiment number, which was a success.There is no other wine in the world that has the same characteristics as Melnik 55. Any attempts to grow this grape variety at other geographic locations failed as the climate needed for growing Melnik 55 is unique to Bulgaria. Augeo Family Estate Melnik 55 was produced in accordance with the modern trends in winemaking, which helped us to create a wine that is a great representative of this grape variety.